Background: Studies of autistic populations have reported several findings related to the brain pathophysiology of autism, but knowledge of the brain characteristics of younger children with autism remains limited, especially for uncooperative children. Objective: To characterize inter- and intrahemispheric brain activity in children with autism and children with Typical Development (TD) using Electroencephalogram (EEG) recordings and peak coherence spectrum extraction. Methods: We studied 9 children with autism (mean age: 6.71 years) and 10 children with TD (mean age: 6.16 years). 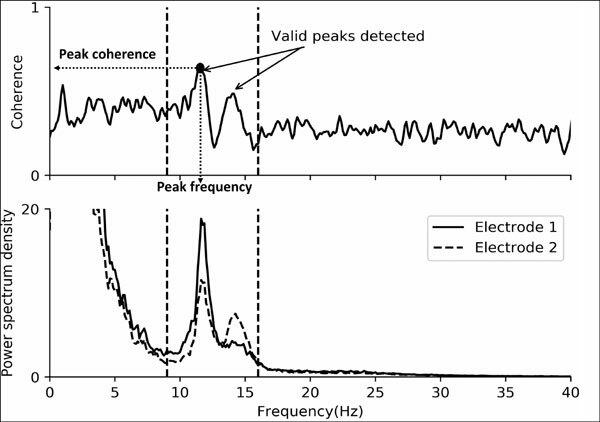 EEG recordings were obtained under sedation according to the standard clinical procedures. We measured cortical synchrony by comparing inter- and intrahemispheric peak amplitude coherence in the 2 groups. We also compared the children who were less than 6 years old to the older children. Results: We found that compared to children with TD, children with autism had significantly more peaks in both hemispheres but equally coherent connectivity strength. Younger children with autism had fewer peaks in the sigma band (9-16 Hz) than older children with autism did. This indicated greater connectivity and was apparent both within and between hemispheres. In certain regions, younger children with TD had more peaks than older children with TD. Conclusion: Sigma band coherence is abnormally related to age in children with autism. Significance: The neural coherence differences may reflect underlying brain abnormalities in children with autism. These abnormalities may mediate their sensory, cognitive, emotional, and motor difficulties. Electroencephalogram, autism, cerebral cortex, coherence, typical development, synchrony, sigma band.